If a person's BMI or body mass index equals or is superior to 30 percent, the he or she is considered obese. When BMI value reaches 40 percent, it is referred to as morbid obesity. Obesity is a rising problem worldwide. An obese person have an increased risk of suffering from heart disease, diabetes, high-cholesterol levels, joint problems, certain types of cancer and even a premature death. In addition, obesity can also cause difficulty in movement and depression. All of these may make people wonder whether obesity can be considered as a disability or not. 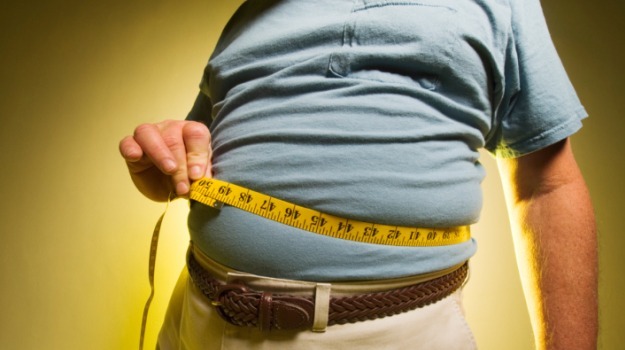 Obesity by itself does not make you eligible for getting Social Security disability benefits. However, if your obesity makes it hard for you to complete everyday tasks like bathing, dressing, cooking or even walking, then you may meet some requirements and become an apt candidate. You can also apply for disability if you have a related medical condition like diabetes, joint problems or heart disease. If your obesity or health related problems make you unable to work, then the Social Security disability benefits will help you pay everyday bills and any medical related expenses. The Social Security disability benefits also cover other programs such as Medicare, Medicaid and Supplemental Nutritional Assistance. Is obesity a disability? You already know the answer, and then how to apply for disability benefits? Most people with obesity who claim for Social Security disability benefits get denied for the first try. You must meet some of the Blue Book listed conditions or go through a RFC (residual functional capacity) analysis to get an approval. Seeking legal advice and getting an attorney to help you assemble your case are highly recommended. After preparing all the documentation that you or your attorney may think is necessary, you can apply for Social Security disability benefits online through the Social Security Administration website, or go in person to any local Social Security office. During the following months while you wait for the result, keep collecting information and medical records in case an appeal is necessary. As the Blue Book listed conditions and the RFC analysis are mentioned above, here are specific explanations. The “Blue Book” is the name of the manual that lists the diseases that can apply for disability. Is obesity a disability? Obesity is not one of the conditions listed in this book, so you cannot automatically get disability benefits for it alone. However, you can still qualify if you suffer from any obesity-related condition that is included in the list. Mental illness, depression, severe anxiety, thyroid disorders and other endocrine problems can have an impact on weight gain, causing obesity. Any of these conditions can make you eligible for disability benefits. On the other hand, obesity can bring some other health issues like diabetes, heart disease or musculoskeletal problems, among others. Since they are consequence of your obesity and have a negative effect on your everyday life, you can become a candidate for Social Security disability benefits. Keep in mind that since this blue book is for official use only, it is not adapted for general public reading. It contains medical terminology that may be difficult for you to understand. Ask your doctor for assistance when collecting all the information needed to build your claim. Is obesity a disability? Obesity itself is not a disability, but the related complications can be. However, what if your conditions are not listed in the Blue Book? In this condition, you can use a residual functional capacity (RFC) analysis to be approved for disability. During a RFC analysis, you, your doctor and sometimes your family or friends will be asked by the Social Security Administration to complete various series of forms know as functional reports. The information required in these forms is to determine if you are able to perform every day activities like brushing your teeth, cooking, bathing, walking or taking care of your pets. Before approving your disability request, the Social Security Administration needs to reach the conclusion that you cannot perform any kind of job, not only the job that needs some level of physical activity but also those that can be done while being seated. Your obesity and related health problems must be so severe that you cannot work at all.